Hi there, it’s Laura from Make Life Lovely, and I’m thrilled to be invited as part of Jen’s Happy Holidays Series! 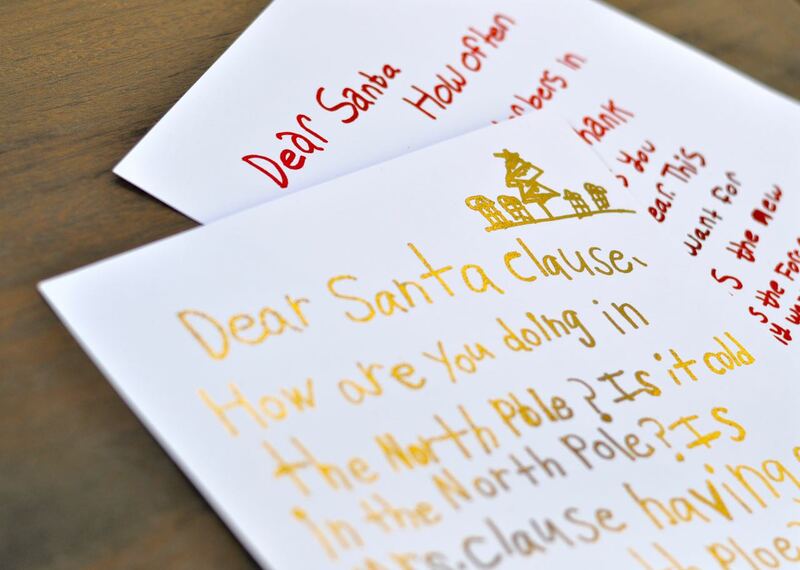 Today I’m sharing a great way to memorialize those letters that your kids write to Santa Claus every year and make them into keepsakes that you’ll treasure for years to come. 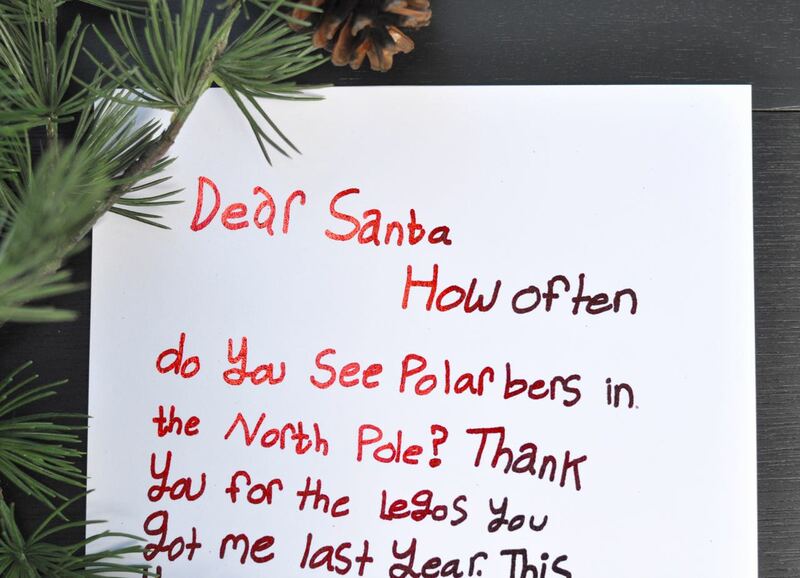 My kids write letters to Santa every year, but this year I was trying to figure out a simple way to display their letters and make them extra special. I tried gold foiling them, and I LOVE how they turned out! 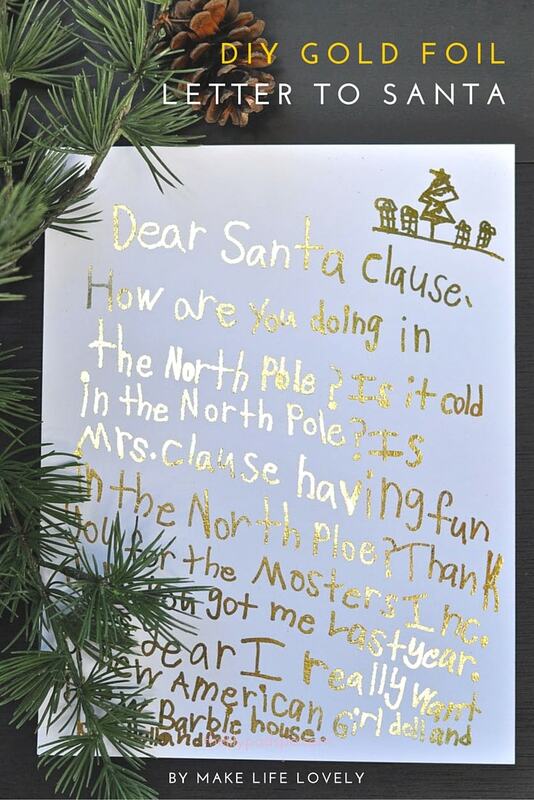 I plan on foiling my kids letters every year now and framing my favorites as Christmas decorations for the holidays. 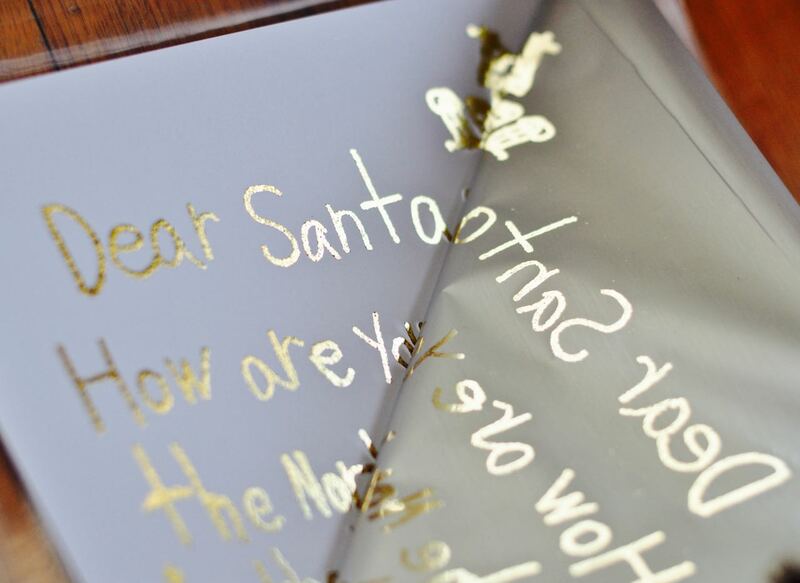 Gold foil letters to Santa are so easy to make, but you will need a Minc machine to apply the foil. I love my machine, and it was worth every penny for me to buy mine! Step 1. Have your child, grandchild, etc. 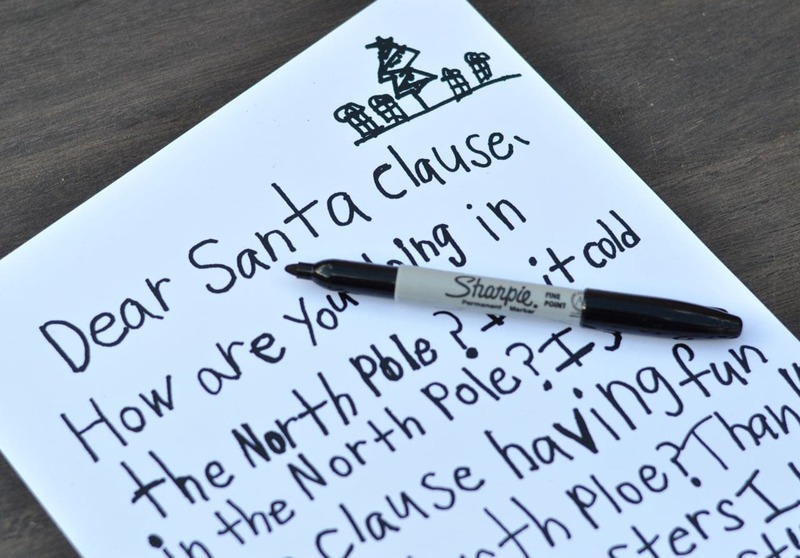 write a letter to Santa with a Sharpie on a white piece of paper. You can have them write a practice letter first if you’d like to help them with spelling errors, etc., or you can just have them go for it. 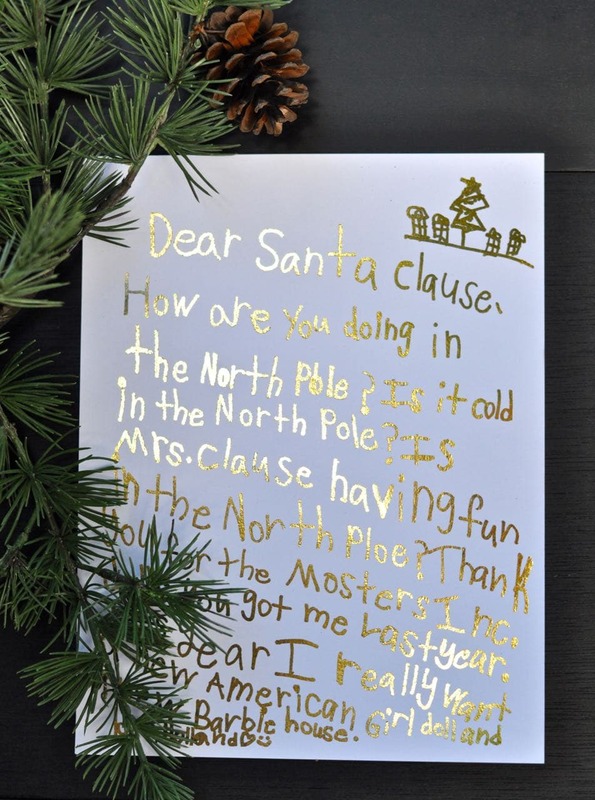 The Sharpie or other black marker is important because you want the letters to be thick enough to take the gold foil, and for there to be enough contrast between the paper and the writing. Make sure your kids leave a blank border around the edges. Step 2. You’ll need to have a copy of the letter printed with toner, so you have two choices. You can either scan the letter yourself and print it out on a laser printer (must be laser, not inkjet), or take the letter to the copy store (Staples, Office Depot, etc.) and have them make a copy with toner or print it out with a laser printer. I took mine to the copy shop and had them print mine out with more contrast, so the letters would take better to being foiled. Step 3. Cut a piece of gold (or other colored) foil to cover the letter. You want to make sure that the foil entirely covers any toner on the paper. Place the letter inside a carrier sheet (comes with the machine) with the foil on top, shiny side up, so that the carrier sheet seam is at the top. Step 4. 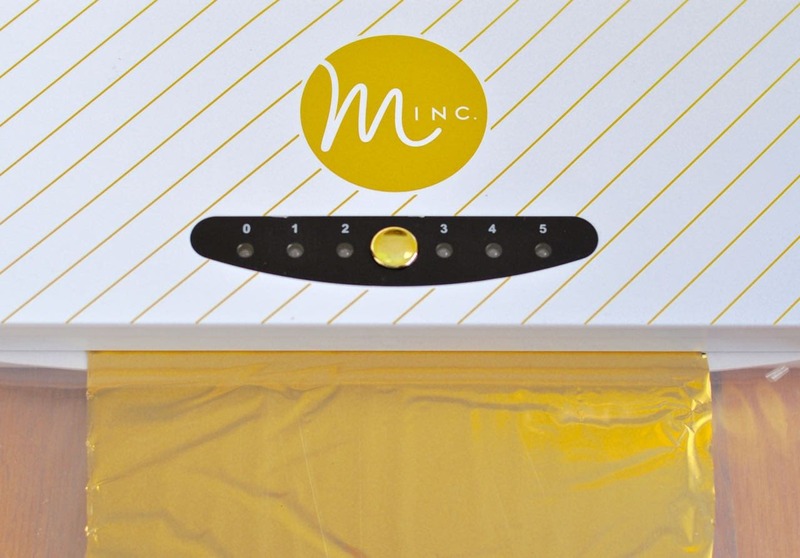 To run the foil through the machine, place the closed carrier sheet into the opening in the Minc machine. The machine will slowly pull the sheet through and heat the foil to your project. Step 5. Once the sheet has come out the back-end of the machine all the way, open up the carrier sheet, then slowly peel off the foil. This is my favorite part! 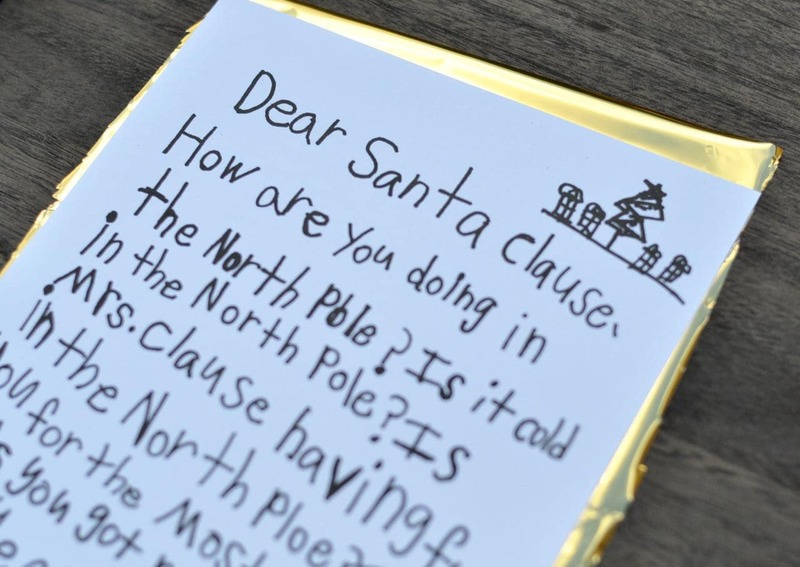 Now you get to ooh and ah over your lovely gold foiled letter to Santa that you’ll want to proudly display in your home, or keep in a special book of your kids art work (this is the method I use for storing my kids art work). We also tried red foil, which worked great too! My kids are in awe of their special letters, and I can’t wait to have them create one every year. I know that they’ll be a treasure for us to look back on each year. Thanks Laura! What a darling idea, and I know your whole family will appreciate them for a long time to come! She’s got this recipe for Chocolate No Bake Cookies that sound so yummy! She has great practical tips too like 6 Uses for Silica Gel Packets! She also has this Chocolate Candy Cane Fudge Recipe I can’t wait to try! Ella’s Room at the #1905Cottage and Smart Bedding! In their last meeting on September 7, new members who were not sworn in at the Association meeting in May wesre introduced to current members.